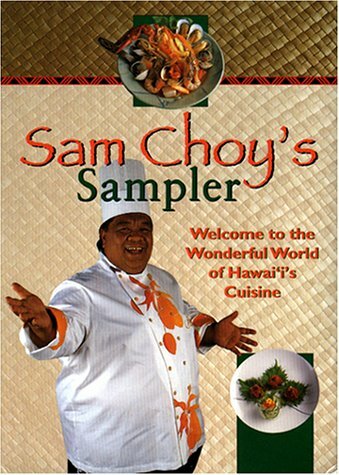 Here are over 80 recipes including both Sam’s innovations as well as his renditions of Island favorites. They range from simple preparations like poke, an addictively delicious raw seafood appetizer, to elaborate and beautiful dishes like Sautéed Island Fish Trio, sure to dazzle the table and palate at your next dinner party. All the recipes use readily available ingredients. Where hard to find ingredients are involved, a guide to mail and Internet sources will give mainland readers access to poi, tropical fruits and even fresh fish.